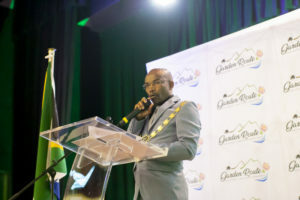 The Expanded Public Works Programme (EPWP) is a nationwide short and medium-term government initiative aimed at alleviating poverty by utilising public sector budgets to draw significant numbers of the unemployed into productive work whilst enabling these workers to gain skills while they work. On 05 December 2017, the Garden Route District Municipality (GRDM) approved its EPWP Policy. For the financial year 2017/18, 24 EPWP Projects, with a total of 525 work opportunities were implemented through the (DORA) EPWP Integrated Grant. EPWP beneficiaries received formal and informal training. The GRDM Human Resources Training Section and the National Department of Public Works funded some of the training. The EPWP Section in collaboration with the Provincial Department of Transport and Public Works hosted a workshop for Councilors on 6 June 2018. This workshop identified various short-term achievements, including the Labour Intensive Construction training and Financial Sector Conduct Authority training.